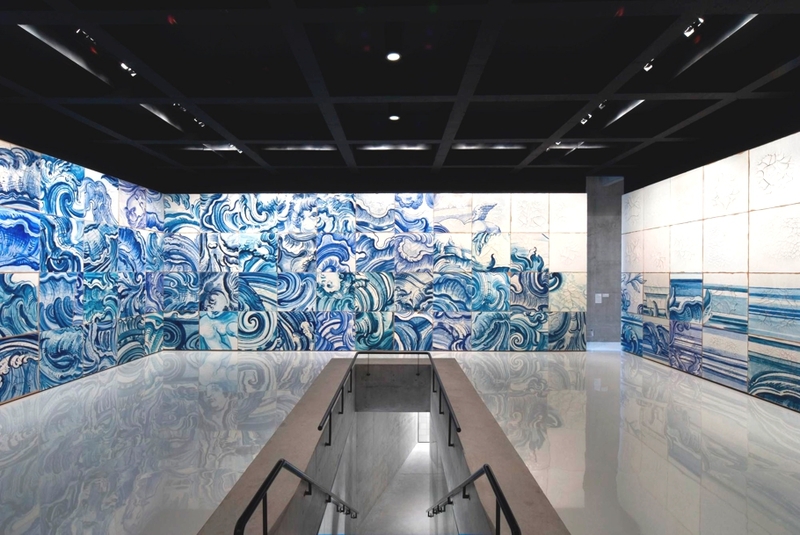 São Paulo-based interior design and architectural practice Tacoa Arquitetos have completed the Adriana Varejão Gallery project. 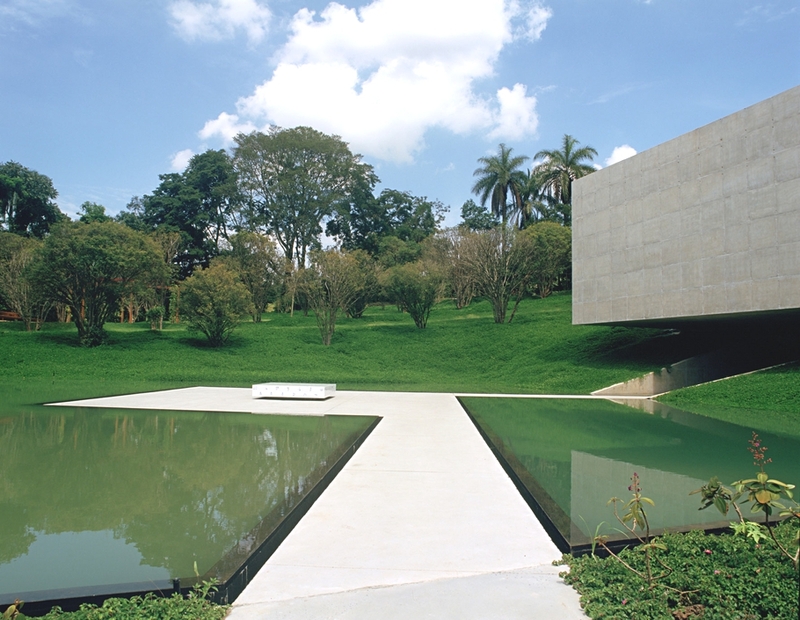 The contemporary property is located in Brumadinho, Minas Gerais, Brazil. 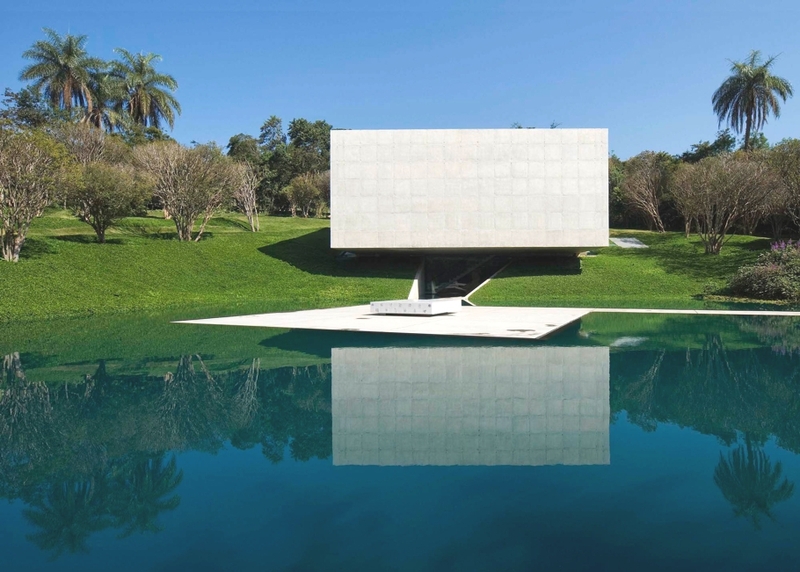 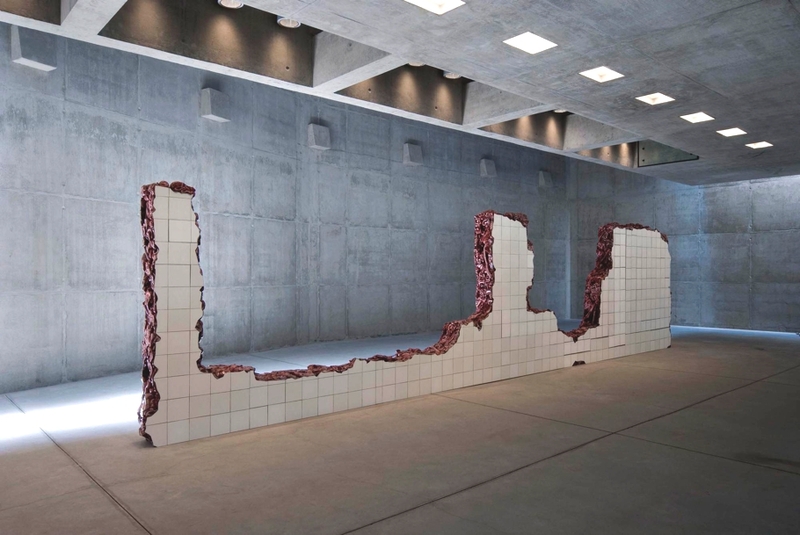 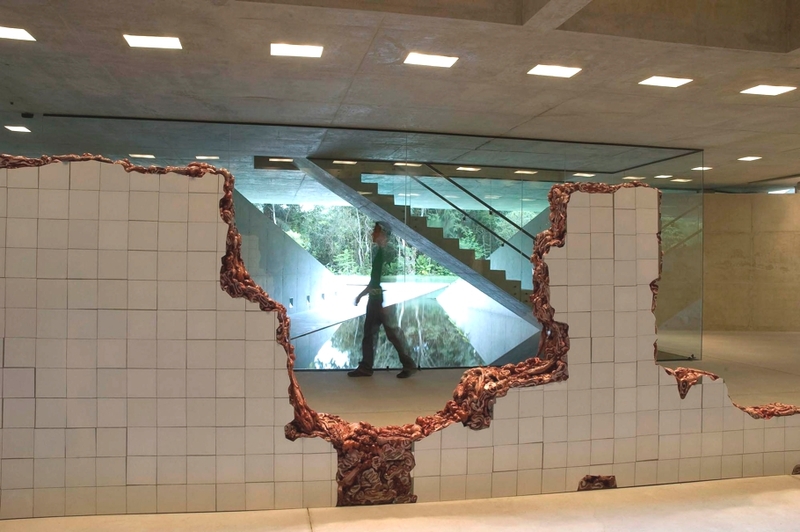 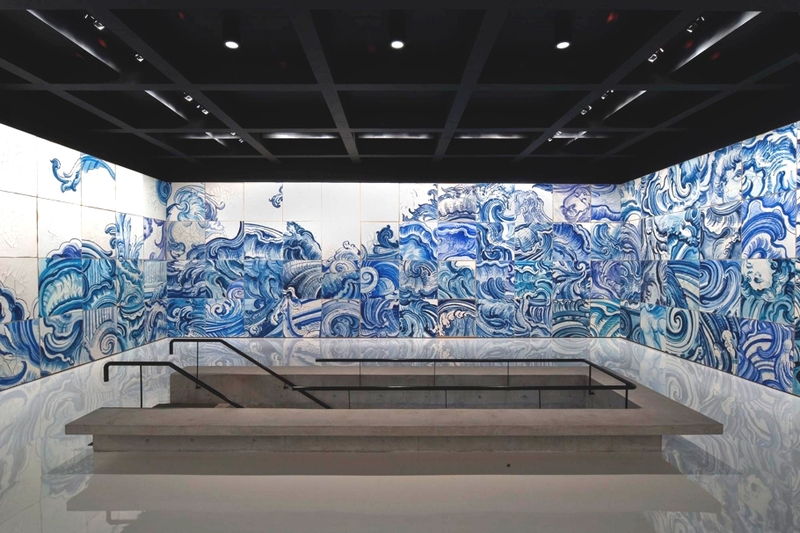 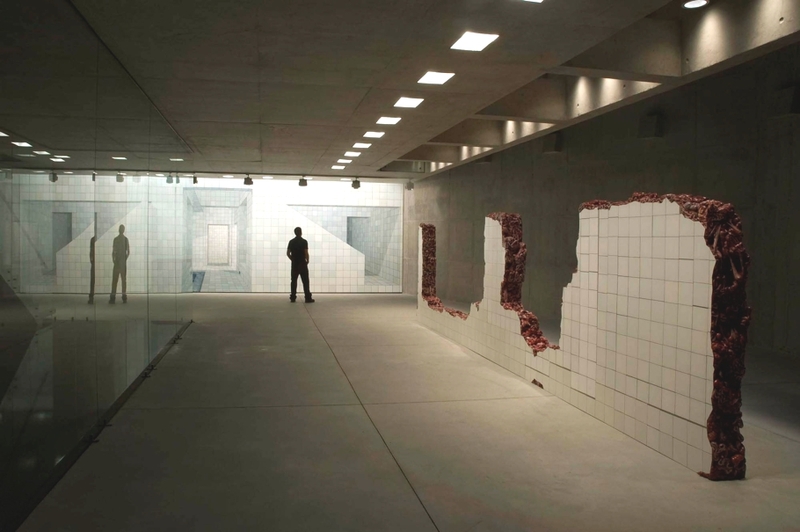 The Adriana Varejão Gallery was commissioned to shelter two works of the artist acquired by the museum and exhibited at Cartier Foundation: the sculpture Linda do Rosário and the polyptych Celacanto Provoca Maremoto. 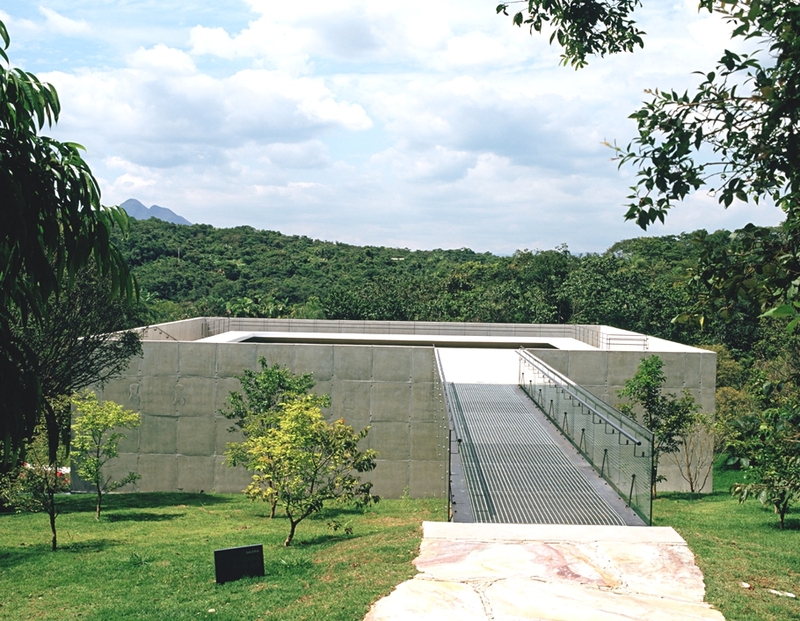 The project occupies a hillside with a small slope partially surrounded by the native forest, an area formerly used to store containers. 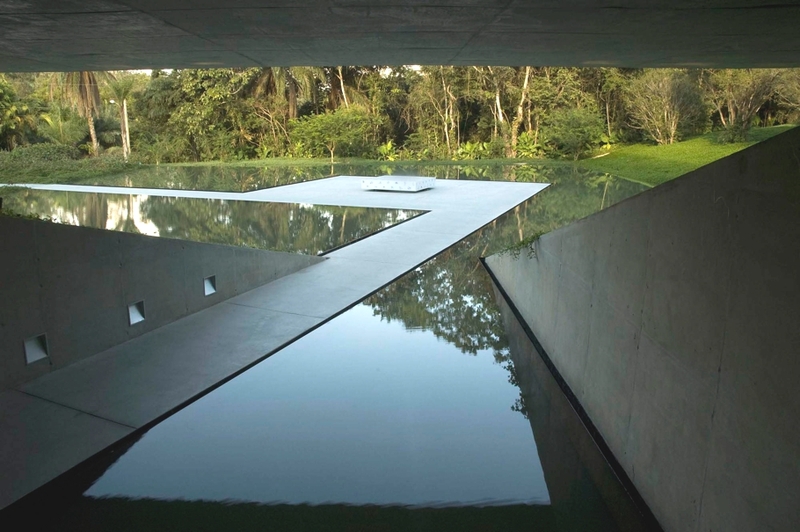 The original topography was modified for this new use: a huge displacement of earth has cut it, creating the great horizontal plane necessary to the storage. 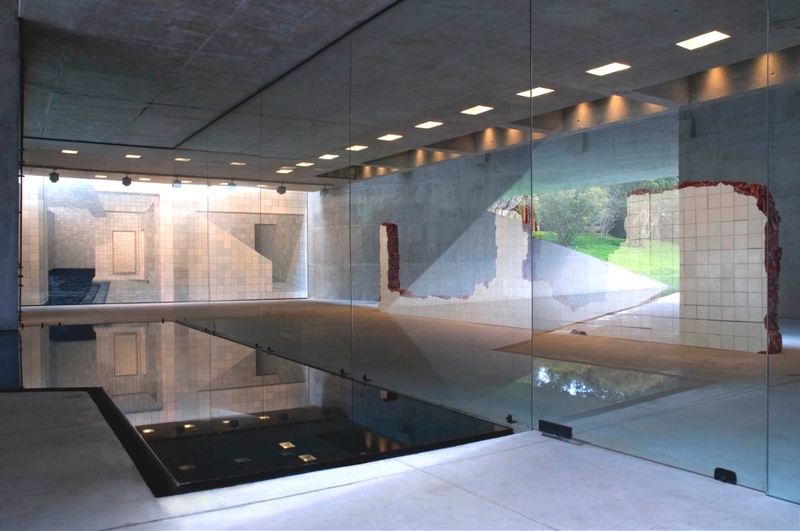 The orientation of the project aimed to recompose the site’s original topography and inserting on it an artificial element: a regular block in reinforced concrete, partially inserted in the hillside. 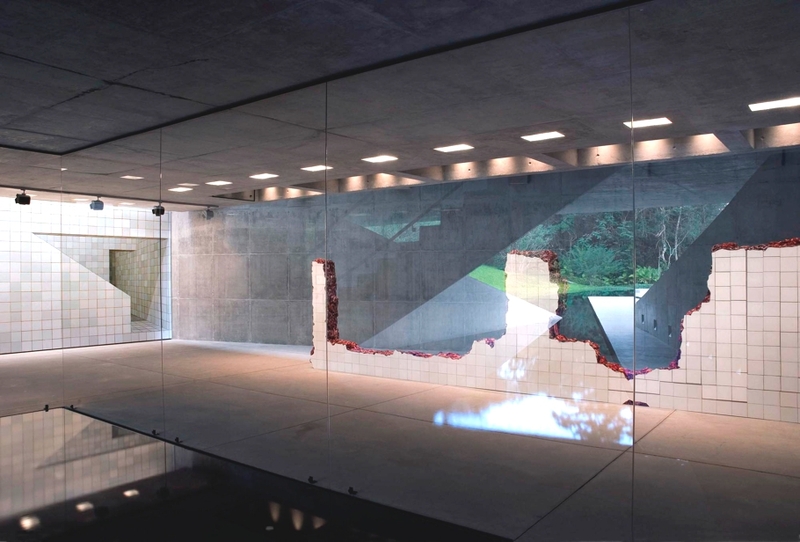 The building structure and interior design is composed by an irregular retaining wall that gains the space in the ground floor and receives the loads of the block, in its deepest part, trough two beams, in the middle, trough four columns integrated in the wall.